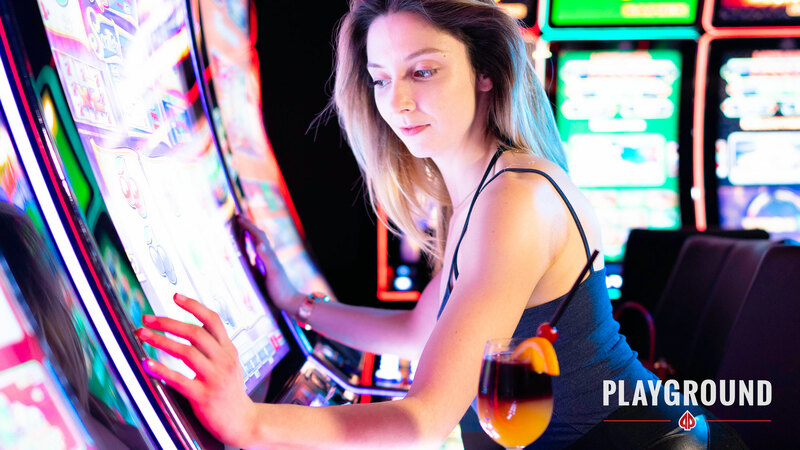 Playground, your full-service entertainment destination! Power Weekend gets a new face! The next Power Weekend comes May 2 to May 6, and it has a brand new face! Taking place just before MILLIONS North America, the Power Weekend and its hot fresh-off-the-press logo will warm up the tournament hall nicely for our first ever $10K buy-in Main Event. This will be your last chance to qualify for MILLIONS through our STEP satellites. Free play for the whole party! 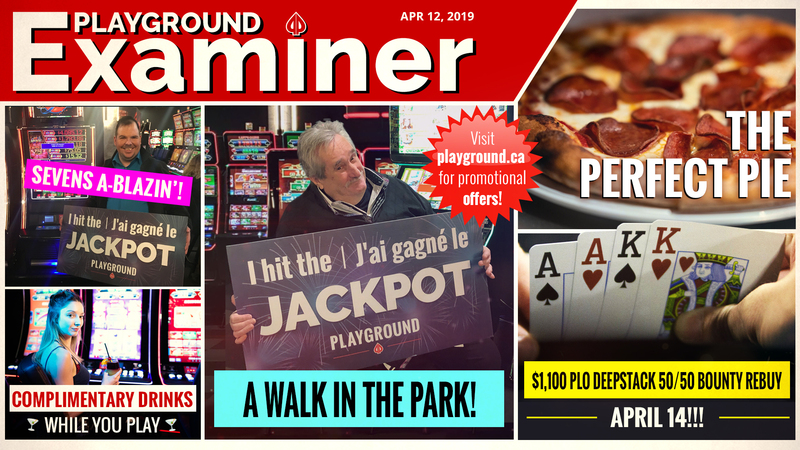 Two promotions are now in effect in Playground’s Electronic Gaming space: the Welcome Bonus and the Refer-A-Friend program. Let’s see how well these promotions tie together. 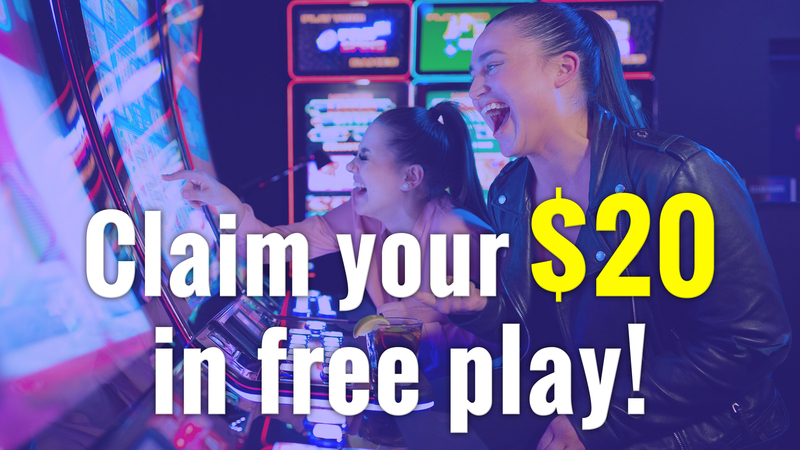 If you’re already a member and bring some friends that have never played at Playground before, you get $20 in free play for each friend that you bring (Refer-A-Friend) and your friends get $20 in free play each for becoming a member (Welcome Bonus). Free play for everyone, to be used on any of our EGDs! Click here to get all the details on these new promotion. 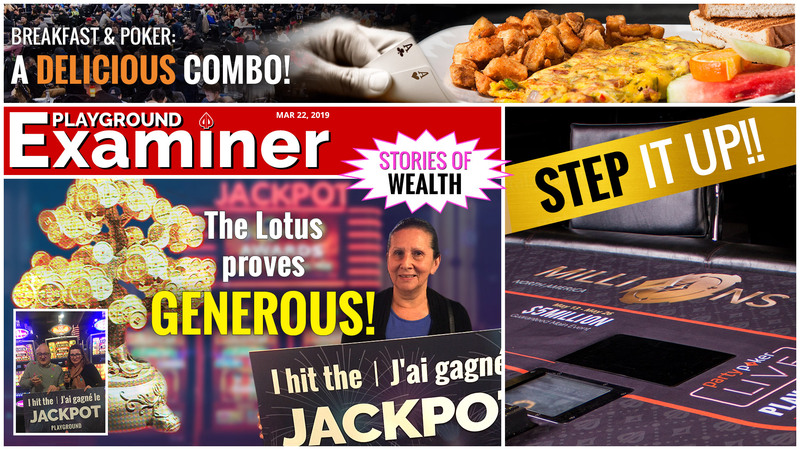 A Grand Jackpot for Ghislaine! On Sunday, March 24, Ghislaine P. came to Playground for a fun outing with her husband. She was playing 88 Fortunes, a very popular game sharing a section in the middle of the room with 5 Treasures, its sister game. Ghislaine came for some fun, and she got what she wanted, because nothing spells fun like a $10,731.90 Grand Jackpot! 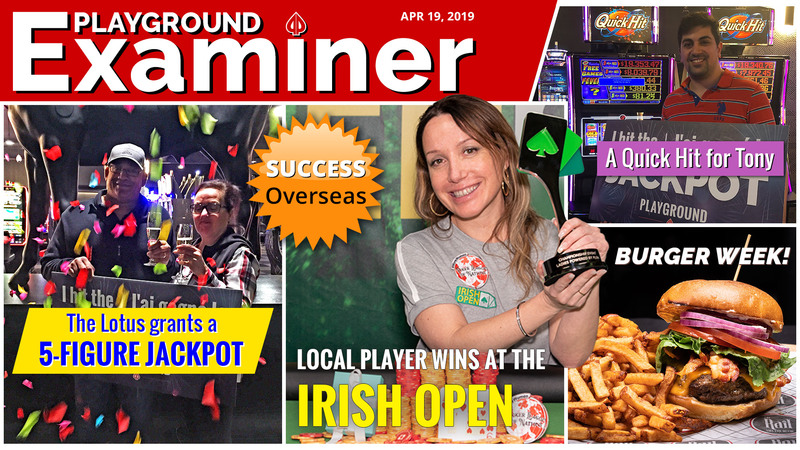 At the time, the tournament hall was buzzing with March Power Weekend action, and Ghislaine and her husband got a good view when posing in front of the Playground steed with Champagne and confetti. Congratulations! The Rail Coal Fire Bistro takes its name from its coal-fired ovens, responsible for the notoriety of our pizzas. But these ovens make more than pizzas! They also roast our wings, to perfection. Try them with your favourite wing sauce between smoky chipotle mayonnaise, Ranch, blue cheese, honey mustard, BBQ, and hot sauce. For cleanliness reasons, these wings are not available in the gaming areas, but the next time you have a winning session, take a moment to stop by the bar at The Rail, and go dirty! Free play at the EGDs!